I teamed up with other bloggers to compile a list of Japan's most unique places to stay. From traditional ryokans to capsule hotels, it's a selection of the some of Japan's most exciting accommodation options. I always recommend York to people who are looking to experience a quintessential English city break. The city is nice and compact, so nearly everything is in walking distance, and the city's sights are enchanting, from the medieval walls to the historic Shambles district and the magnificent York Minster. Condesa is one of the most hip areas in Mexico City and is also home to some of the best boutique hotels. Here's a round-up of our favourites. 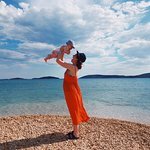 New York might not be the first place you think of when deciding where to travel with a baby, but, for us, it was one of the best trips we took in Otis’ first year. These are tips for travelling to New York with a baby, including how to get around, where to stay, what to bring and things to do. There are some good New York tips in hereeven if you're not travelling with a baby. Enjoy! Palm Springs has become a hotbed of hip hotels, perfect for the ultimate hipster getaway, filled with pool parties, cocktails and the laid-back ease of desert life. Retro-chic and mid-century style is the Palm Springs classic look, and you’ll also find plenty of fun, playful touches. From glamorous luxury retreats to party-filled hotels, this is a rundown of the most hip hotels in Palm Springs. Slovenia is one of the most under-rated countries in Europe. It has a huge amount going for it, from exquisite nature to gourmet cuisine that combines all the best from the surrounding countries. Here's our guide to doing a 10-day Slovenia road trip. Santa Cruz is the land of surf, mountains, hippy culture, redwood-covered mountains and a laid-back vibe that means you can’t help but relax there. It’s the home of the iconic Santa Cruz Beach Boardwalk and has everything you dream of when picturing a classic California beach town. Here’s our pick of the best things to do in Santa Cruz. San Diego is the kind of place you go for a holiday and end up wishing it was your home. The laid-back Southern California city has a lot going for it, and this is our pick of the best things to do there. It's a good itinerary for first timers.